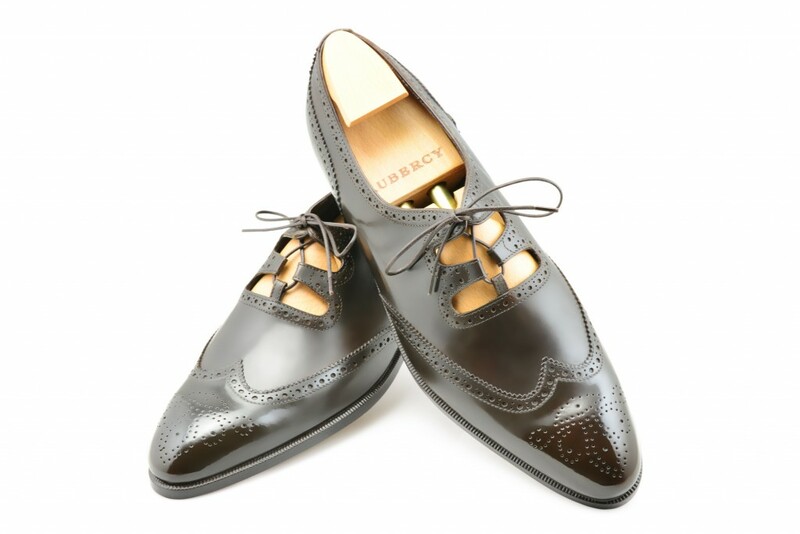 There are not many brands that add details to their shoes like Aubercy does. They really push the boundaries of doing things differently and while many might not be crazy about their style when doing this, I think that it is great to see how crazy something can be while still maintaining a manner of elegance. 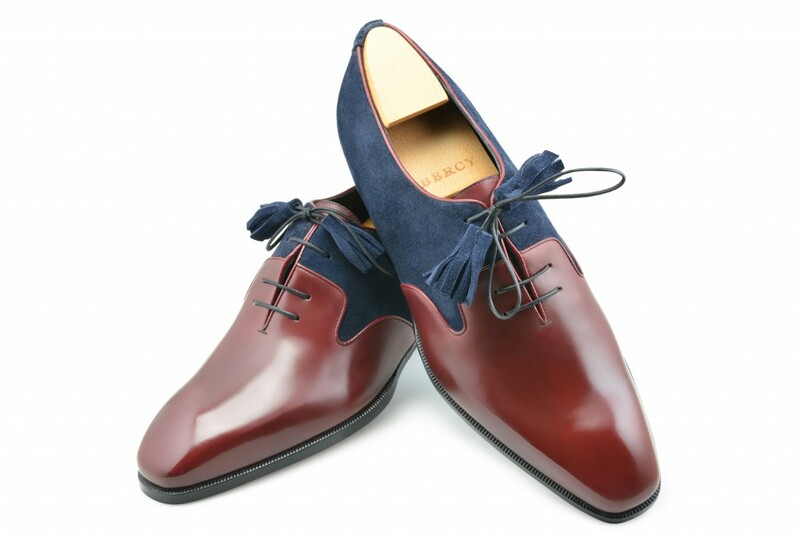 For example, I find most ghillie shoes to be quite horrendous and while these ones are not exceptionally different in the classical way of creating the pattern what they did do is put the ghillie model on a sleek last and a slick sole while the traditional one is overly robust in my opinion. 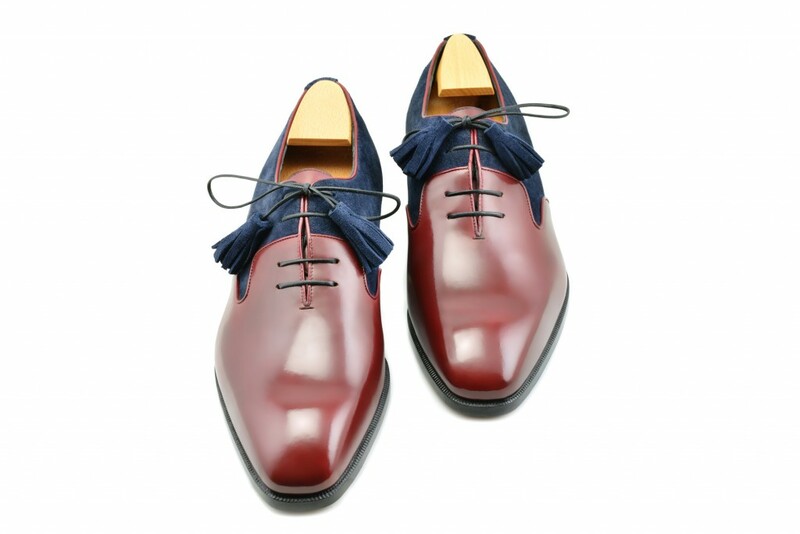 And to be quite frank, I am never a fan of a shoe that is split between two colors from left to right (rather top piece and bottom) but this reddish leather and navy suede oxford takes the cake. I think that because they split the coloring at the facing, added a dip in the separation at the quarter and put those exceptionally dandy tassels on the laces, it all just ended up going so well together. And with that they created the perfect ‘dandy’ shoe!